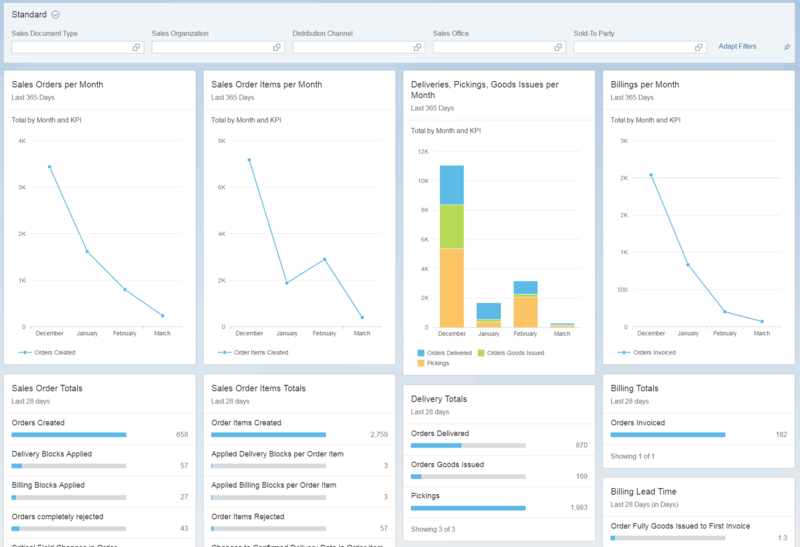 In my previous blog posts (Part I and Part II) of the “How to Build The S/4HANA Business Case” blog series, I provided an overview of the mechanics that go into building the business case for S/4HANA. 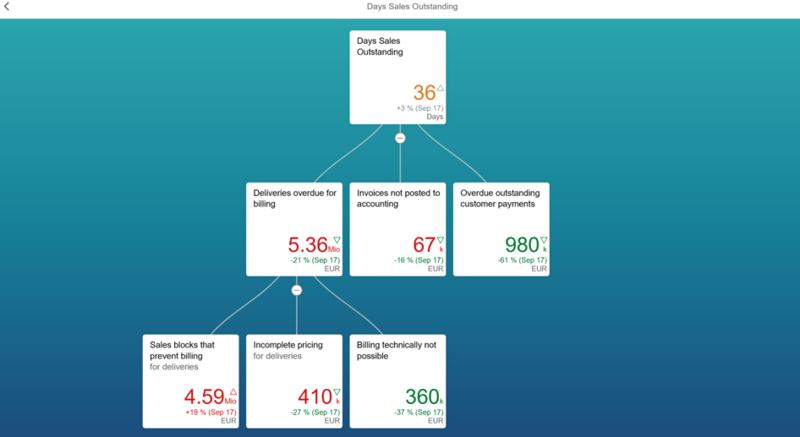 In this blog, I will do a deeper dive into Days Sales Outstanding (DSO), one of the most frequently used financial metrics in ERP and S/4HANA business cases. I will explore the type of underlying analysis that needs to take place before adding financial metrics to your business case using DSO as an example. I chose DSO because it is one of the most heavily tracked and monitored KPIs in corporations today. It’s often used alongside core metrics like revenue growth, profit margins and cash flows to gauge a company’s financial health. This makes it a compelling metric to consider in ERP and S/4HANA business cases as it is readily available in most organizations. At the risk of stating the obvious, DSO measures the ability of an organization to collect cash earned from selling its products and services. DSO’s significance stems from its direct impact on working capital and cash flows. The longer a business takes to collect cash from its customers, the larger the opportunity cost of not being able to invest that cash elsewhere in the business. Conventional wisdom has it that ERP automates and optimizes order-to-cash cycles and therefore has a positive impact on DSO. While this holds true in many cases, it is not to be taken for granted when constructing your business case. A deeper analysis of your company’s specific industry dynamics along with a more thorough understanding of which specific sub-processes in your order-to-cash cycle can benefit from further optimizations is required to accurately predict and estimate the possible DSO reductions. One of the most obvious areas to look for DSO reductions is the process of running credit limit checks prior to transacting with customers to ensure their ability to pay on time. Another low hanging fruit is to focus on the credit collection process and whether or not your organization is thoroughly following up with delinquent customers and offering them adequate incentives (discounts, favorable delivery terms, …etc.) to pay on time. However, both these areas are often constrained by external industry dynamics. Consider the case of the oil and gas industry where oil prices can suddenly plummet putting financial stress and liquidity constraints on an oil and gas company’s most strategic and long-standing customers. I recently had the opportunity to work with an SAP Oil Field Services (OFS) customer undergoing an ERP transformation to digitize their processes and devise methods to reduce DSO. Instead of putting additional pressure on its customers and risk alienating them during difficult financial times, the OFS company wanted to first focus on alleviating self-inflicted DSO injuries, those that stem from inefficiencies in the company’s own internal business processes. Below are a few areas that were identified as potential DSO leakage drivers. Contractual agreements in OFS are often governed by global oil prices which makes them very dynamic. In some cases, OFS companies opt to avoid long-term contracts altogether because of the volatility in oil prices. Pricing and contract agreements also vary by customer type. For example, relationships with new customers are typically governed by a standard set of terms and conditions pulled in from a master agreement whereas long-standing customers often have customized and specific terms and conditions that pertain to them. Proper and effective contract management is critical to DSO as invoicing and billing are tied to a deliverable checklist referenced in the contract. Disputes that arise because of contractual issues can take a long time to resolve and hamper a business’s ability to collect payments from its customers impacting its DSO. S/4HANA offers real-time insights into the order-to-cash process along with a set of integrated and comprehensive contract management capabilities that allow businesses to manage and enforce these contracts with live insights into contract conditions. This enables the company to react quickly when anomalies are detected avoiding downstream invoicing disputes. Leveraging Celonis’s process mining platform, the OFS company uncovered that 50% of their ERP order-to-cash rework activities were related to changes in contractual agreements (incoterms, payment terms, pricing, …etc.) 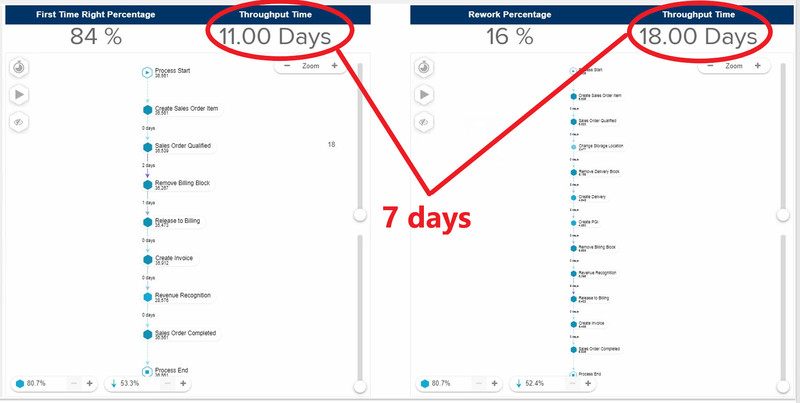 and that on average these rework efforts add 7 more days to their billing cycle time. These days contributed directly to their DSO. Along the same lines, ensuring that sales orders are tied to quotations can reduce disputes that arise during billing and invoicing and increase win rates. It might come as a surprise to some, but it’s not unusual to see that only a small percentage of sales orders generated in a company reference an actual quote. In the case of the OFS customer, that number turned out to be less than 15% for a specific segment of their business. 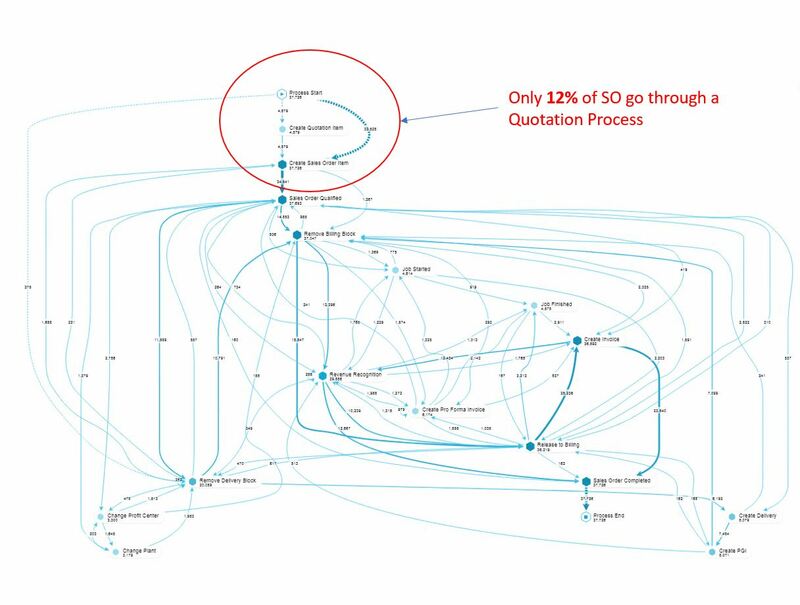 The ability to track and manage quotations in S/4HANA and quickly convert them into sales orders reduces both the sales order creation time and the time wasted in downstream invoicing and billing processes. Unlike the standard process where sales orders, and consequently billing and invoicing, are triggered once a material is shipped out of the warehouse and a Post Goods Issue (PGI) is recorded in ERP, a PGI in OFS doesn’t always trigger a sales order. Instead, products and materials are often relocated to a customer site where they can remain there for a period of time during which consumption happens gradually. In these cases, sales orders are triggered upon the full consumption of the onsite materials or at contractually specified intervals and only after the customer provides a signature sign-off. Delays in securing these sign-offs from customers, often located in far-flung and remote areas, and in internal approvals of these sign-offs result in slower billing and invoicing and therefore impact DSO. In the case of the OFS company, these delays added an average of 6 days to their billing cycle time. S/4HANA can help reduce that latency by offering flexible and native integrations to modern mobile field ticketing applications that support digital signature sign-off capabilities. One example that comes to mind here is C&J Energy Services. The company leveraged SAP Cloud Platform to build a digital field ticketing application integrating back into SAP S/4HANA allowing rig supervisors to capture job information on the go. This offered C&J Energy Services more accurate insights into each job increasing operational efficiencies. As the saying goes in the ERP world, it’s not just about technology alone but about People + Processes + Technology all working together in tandem to achieve a business result. With that in mind, the OFS company also started looking into organizational and process changes to ensure that they can reap the benefits of their ERP transformation and lower their DSO. Value realization metrics and value owners were defined to ensure compliance with new processes across the different DSO leakage areas. For example, in the case of contract management, one of the value tracking metrics defined was the number of contract checklists uploaded in the system as a percentage of total contracts. In addition, the company also started exploring the out-of-the-box business process analytics metrics in SAP Solution Manager that can help uncover noncompliance. Examples of such metrics include the Incomplete Sales Documents metric, which measures the number of sales documents with missing fields, and the Invoice Creation Days metric, which measures the average lead time in days between the creation date of the invoice and that of the corresponding sales order. By tracking these metrics the company would better ensure that they can reap the full benefits of their ERP transformation and reduce DSO. Before adding DSO or other similar metrics to your business case make sure you have a thorough understanding of the inefficiencies and bottlenecks in your process, a quantification of how these inefficiencies impact your chosen metrics and the necessary value management and organizational change management required to implement any changes necessary to fully reap the potential benefits.